I haven't run a competition in ages! 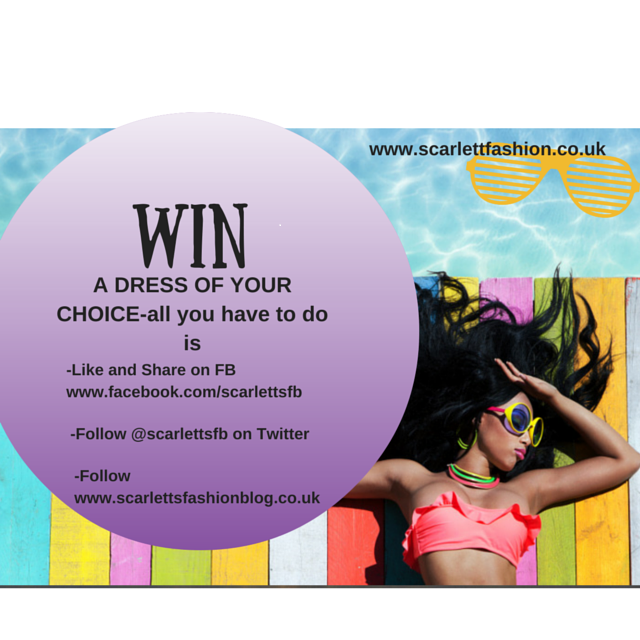 So I thought as Summer is quickly approaching, it is the perfect time to grab yourself a free dress from Scarlett Fashion. Just follow the rules above and I will be picking someone at random on Sunday 19th April. I'd love to hear from more of you and I'd really like to know what you think of the website, any changes you think could be made. Your opinion REALLY matters. Hi! Thank you for the giveaway :) Would love to win a surprise for my wife! Hi! Thank you for the giveaway! Hello. Thanks for the giveaway! Thanks for giveaway for many competition.I think competition participate should be recognized age.